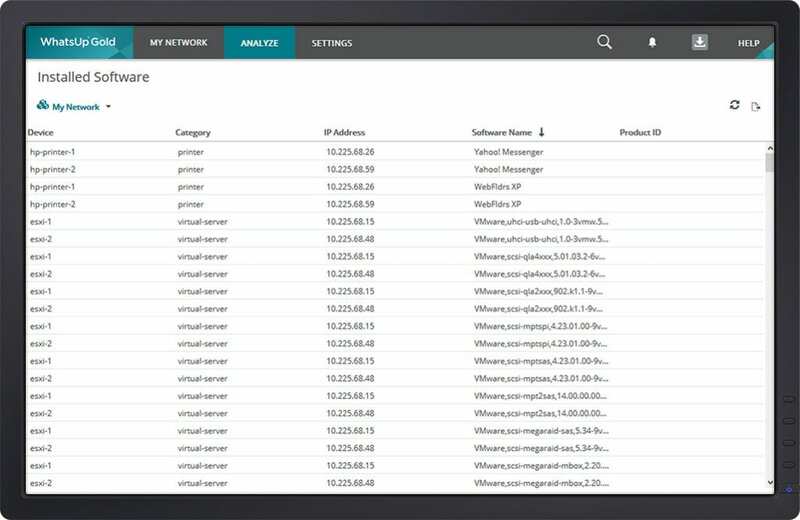 Discover everything connected to your network from devices, servers, VMware virtual machines, deployed software, LANs, port-to-port connectivity and other resources automatically or on-demand. With WhatsUp Gold, you can gain an understanding of your network from top to bottom and focus on keeping it running securely and at peak performance. WhatsUp Gold uses a number of innovative Layer 2/3 discovery technologies–including ARP, SNMP, SSH, Virtual Infrastructure Management, IP addressing, ICMP and LLDP in combination with vendor-proprietary mechanisms – to discover everything connected to your network and build a complete and accurate picture of network devices and their port-to-port connectivity. 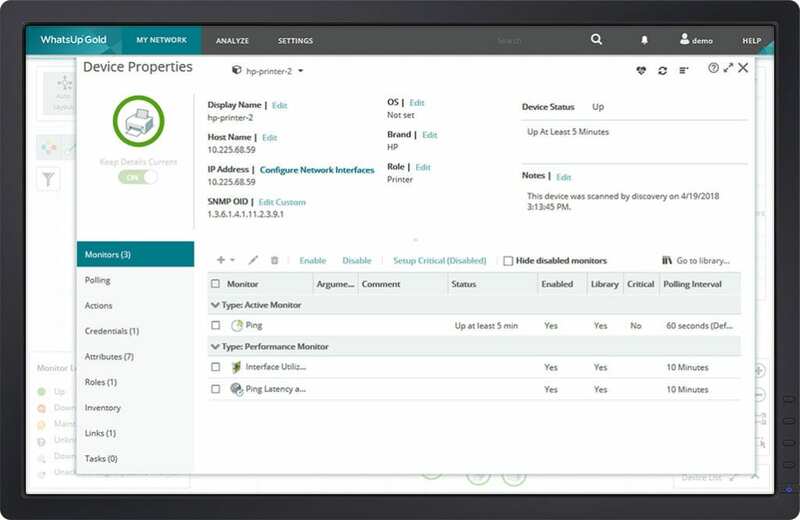 Full or partial discoveries can be scheduled to run automatically or run on-demand. WhatsUp Gold auto-generates integrated Layer 2 and 3 topology maps that give you full visibility into physical, logical and virtual connectivity, including IP and VLAN-specific information. It dynamically updates its maps as changes occur in the network. 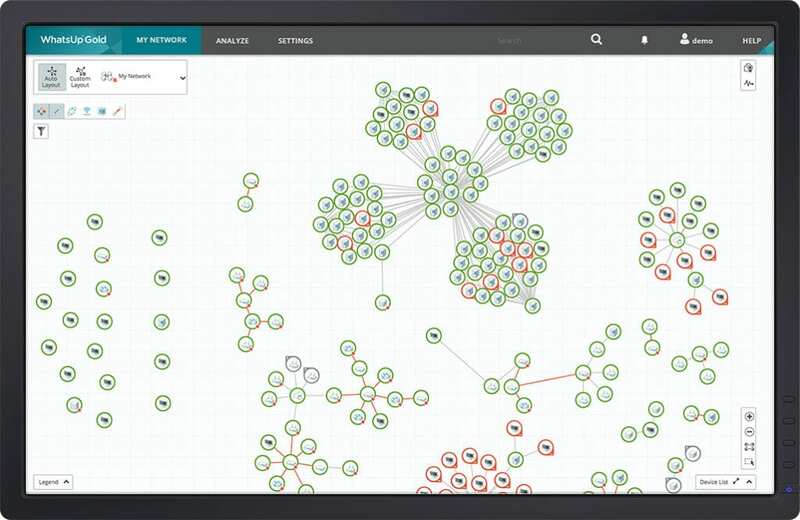 Maps are easy to customize and manipulate so you can view your network the way you want. And with a mouse click, you can export them to Microsoft® Visio™ or PDF format. Save precious time by using WhatsUp Gold to search and discover how devices are connected. 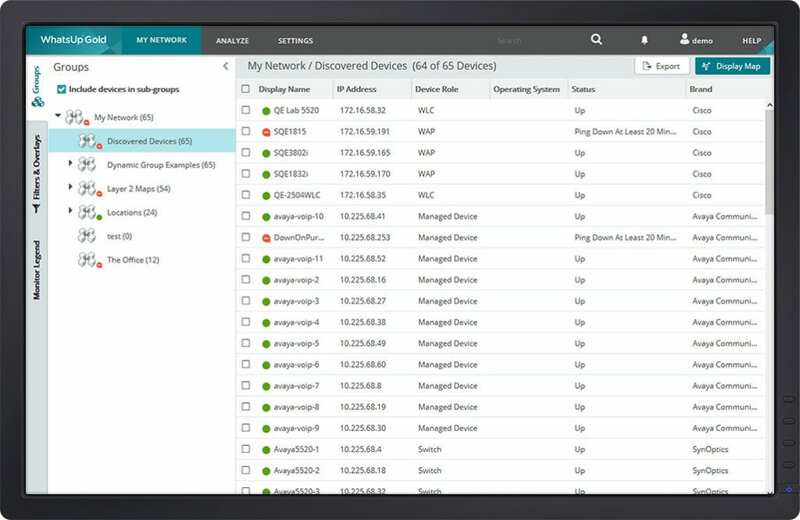 With detailed device views, you can quickly zero-in to find out what’s connected to what. And, with built-in tools such as Layer 2 Trace and IP/ MAC Finder, WhatsUp Gold offers the industry’s fastest approach to finding the location and validating connectivity of any device on the network. WhatsUp Gold provides comprehensive network inventory and configuration information – supporting the reporting/ documentation needs of your internal business process (such as ITIL) and regulatory requirements like PCI DSS, SOX, FISMA and HIPAA. Since you can easily export this information in CSV or Excel formats, your entire team will know exactly what resources are on your network, where they are and how they are connected at all times – even when your network grows, your office moves or datacenter resources get consolidated. 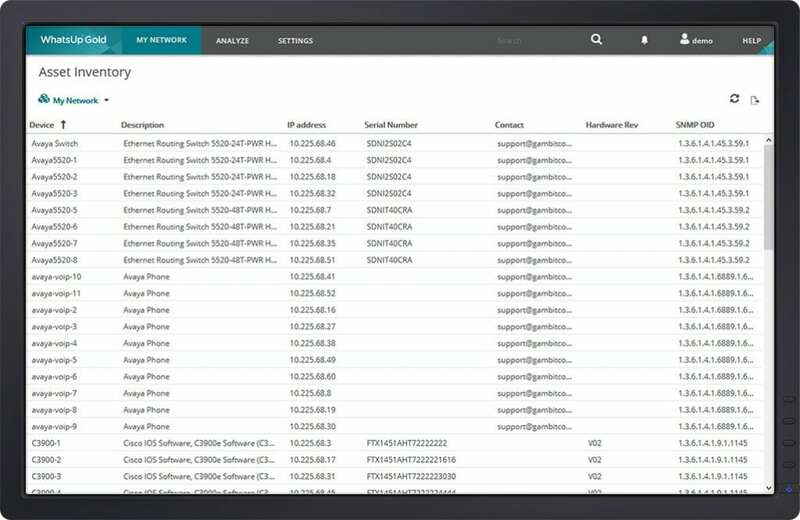 Gather, filter and export a wide variety of inventory and configuration information across networking devices and systems. What is Layer 2/3 Discovery? A layer 2/3 discovery tool is needed to identify not only the physical server and virtual resources that you have deployed in your environment and how they are mapped, but how everything is connected down to the individual port.